Born 21 April 1846, at Borsa, Sor Trondelag, Norway. Died 15 February 1933, at Alpena, Jerauld County, South Dakota, of bronchial pneumonia. 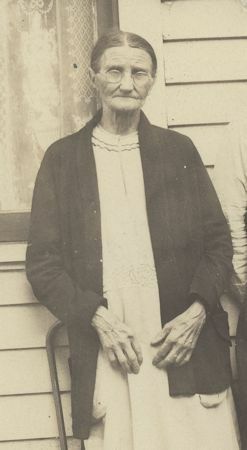 Marit lived on the Syrstad farm, near Borsa, in a home built in 1836. This home was still in use as a residence in 1996, when it was visited by several of her descendants. She and Johan emigrated to the United States in 1882, with their daughter Marie, but not with Karen or Oscar. Karen was independent by then, and Oscar was considered too young to travel that far. Oscar followed later, accompanied by Karen, but Karen went back to Norway. Marit never learned English, speaking Norwegian all her life.